A year after earning a second half playoff berth, many important pieces will be making a return trip to the Florida State League. In fact over half the roster, 13 out of 25 players, spent time in Fort Myers during the 2017 campaign. With a new manager and some new faces, the Miracle will continue to be an exciting team to follow this season. What can the new manager bring to the table? Which top prospects will start the year in the FSL? What else is in store from the Miracle? Manager Ramon Borrego is making the jump from the GCL Twins. He doesn’t have to move towns but his new gig will certainly come with some high expectations. The native Venezuelan briefly reached Triple-A as a player before becoming a manager. His playing career started in 1996 with the GCL Twins and he finished in 2002. His coaching career started in the Venezuelan Summer league, where he worked from 2005-2008. In 2009, he took the DSL Twins to the Dominican Summer League Finals before losing. He took over the GCL managing duties from Chris Heintz during the 2010 campaign. His team’s best finish was last season with first place finish in the South Division before losing in the first round of the playoffs. His career record with the GCL Twins was 236-235. Borrego will be joined on his coaching staff by some familiar faces. Henry Bonilla will return for his third season as the Miracle pitching coach. Steve Singleton will begin his second season as the hitting coach in Fort Myers and his third as a hitting coach in the Twins organization. Two of Twins Daily’s Top 20 Prospects and three of Baseball America’s Top 30 Prospects populate the Miracle Opening Day roster. The biggest name might be first baseman Lewin Diaz, who finished 13th on the Twins Daily Top 20 and Baseball America ranks him 26th. Diaz led the Midwest League with 33 doubles last year and added 12 home runs. Infielder Travis Blankenhorn is another familiar name to those who follow Twins prospects. At Twins Daily, we ranked him as the organization’s 17th best prospect entering the season. He’s stock is down a little after hitting .251 with 13 home runs in 117 games for Cedar Rapids last season. Baseball America squeezed him into their top-30 list at number 29. A name less known to Twins fans might be outfielder Aaron Whitefield. Twins Daily didn’t include him in our top-20 prospect list but Baseball America thought highly enough of him to rank him 19th. He was dangerous on the base-paths last season with Cedar Rapids by swiping 32 bases. He added 11 home runs to show some signs of power as well. Three important pieces of last year’s playoff starting rotation will return to Fort Myers. 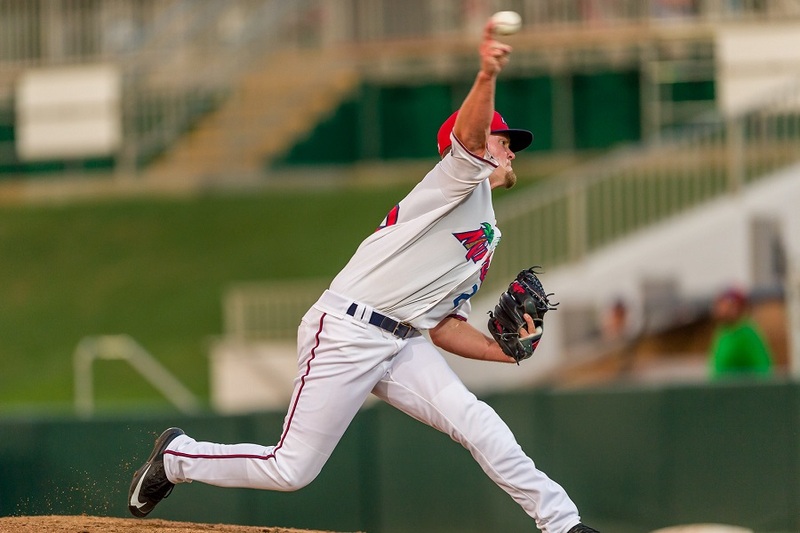 Right-handed pitcher Brady Anderson led the Miracle in innings pitched (113.0) and games started (18). In college he pitched at Florida Gulf Coast University so he is getting accustomed to pitching in the Florida sun. Right-handed hurler Cody Stashak pitched at three different levels last season (Rookie, High-A, Double-A) but he was still able to finish second on the Miracle in innings pitched. His 1.10 WHIP was tops among Miracle pitchers with a minimum of 15 starts. He also finished second among starters with 72 strikeouts in 83.1 innings. Sean Poppen, a right-handed pitcher, made 11 starts for Fort Myers last season. Lefty Andrew Vasquez will return to the bullpen where he posted a 1.51 ERA in 23 relief appearances (35.2 IP) with 52 strikeouts. Righty Tom Hackimer posted a 1.93 ERA in 27 relief appearances. I’m excited to see how Tyler Wells does this year. If not for injuries last year I believe he’d of been a higher regarded prospect. I mean last year he averaged around 12 K’s per 9 between A ball and Rookie ball (where he rehabbed). If healthy I think he might be a high riser this year. I’m excited to see how Tyler Wells does this year. He was one of my favorite interviews on Seth Speaks this off-season.Definitely a fan. This is probably our weakest team in regards to future MLers. I like Diaz more than most here at TD. Whitefield and Davis have some tools, Charlie Barnes could be a legit backend starter for a ML team and Blankenhorn might be able to hit enough to make it but that's about it, I would think. Not sure if anyone else on this team is even in a Twins prospect top 30 list. If I was betting, I'd put my money on Vasquez or Lujan to make the big club first out of this group. Otherwise, I agree.Not a lot of names here, especially when this piece comes out after a couple CR pieces. If Wells isn't in the top 30 now, I bet he gets well into that group by next off-season, barring injury. Though not loaded with top 20 prospects, this team still has a lot of players that could be interesting to follow this year. Following their AAP pages last year, Poppen and Beeker both emerged as names to watch for me. I don't know that either one will make it past AA but I don't know that either one cannot emerge as a Gonsalves type down the road either. They need to make some noise at some point but what they did last year (and throughout their careers) told me that these guys are sleepers that could emerge at some point. Hector Lujan, Diaz, Jaylin Davis, Blankenhorn, Stashak, Vasquez, Wells, and Hackimer are also names that have come up in posts a lot in the past. All these names are familiar with the prospect pages on TD.That combined with the new guys to the organization, Bray and Grzelakowski, I can't wait to see which guys on this roster emerge. I am confident there will be several a lot more familiar to us by the end of the year and that more than 3 names on this roster will be on top 30 lists by the end of the year. Last comment: Cedar Rapids is loaded. These guys will have to step up because there are a lot of guys coming with a lot of talent gunning for their positions. Where is Arraez?Is he still recovering from injury? If we still had Palacious and Arraez then this team would be pretty loaded as well. I think Wells will possibly make it to Rochester before the year is done (so long as he is healthy). He was flat out dominant in A ball until injuries made him look less dominant. I think a lot of scouts will be surprised how good Tyler Wells is this year.